What if the Apocalypse has already happened? How should we live in a post-Apocalyptic world, when all of the values of the previous one have been destroyed? Aleister Crowley had an answer: we should each live according to our own True Will. By this he meant that every man and woman must discover his or her own true nature and purpose in this world, and fulfill it. But the guiding principle in living that fulfillment must be love; and not “love” in the sense of mere sentimental affection. Crowley’s philosophy further claims, “Man has the right to love as he will: — when, where, and with whom he will.” Bisexual himself, he formally declared the absolute liberty of consensual sexual expression, with the force of prophetic authority. In 1904, Crowley received a text as a result of magical invocation: The Book of the Law. The law the book contained may be summed up in these words: “Do what thou wilt shall be the whole of the Law. Love is the law, love under Will.” With the arrival of this new law, Crowley believed the old world order was completely overturned — destroyed by fire, as it were — and a new age dawned. He called his new system Thelema (Greek for “will”), and identified himself with the Great Beast of Revelation. Accordingly, Thelema declares Christianity obsolete, along with all other world religions, even while putting to use their most potent spiritual techniques, symbolism, and mythic narratives. Thelemites are often practitioners of Magick, understood as the form of occultism developed by Crowley from his training in the Hermetic Order of the Golden Dawn and experiences with esoteric religions around the world. His techniques and theories have influenced generations of practitioners of divination, yoga, alchemy, spirit evocation, and astral travel. He was also a pioneer in the modern Western use of entheogens such as mescaline, and his social ideas support the full freedom not only of self-medication, but of self-exploration by such means. The Order of Oriental Templars, better known as Ordo Templi Orientis or simply O.T.O., is the first religious body to base its work on the Law of Thelema. O.T.O. is essentially a vehicle for organizing and mobilizing under the Law, since we can't expect any sort of deus ex machina to take us to a New Jerusalem. The old social forms are obsolete and oppressive, and humans need social contexts in which to temper and express their individual wills. Crowley introduced the Law of Thelema to O.T.O. in the early decades of the 20th century, but without his leadership, the order went into a dormant period for the thirty years following his death. Starting in the 1970s, surviving members began to reorganize, and growth has been fairly steady ever since. There are now thousands of active members organized in over thirty different countries worldwide. The other rite of O.T.O. is Mysteria Mystica Maxima, a set of graduated initiations using the methods of Freemasonry and the ancient mystery cults. Fraternal temple initiation in person may seem somewhat antiquated—and indeed, the heyday of such work in the United States was the latter half of the 1800s. But mediating technologies deprive us of many of the contacts and sensory channels that previously would have integrated us into important age-old networks of human consciousness. The O.T.O. degrees redress these faults, while developing self-discipline and self-knowledge toward the goals of individual liberty and universal brotherhood. Another important but still largely unrealized dimension of O.T.O. is the establishment of intentional communities centered on “profess-houses.” Crowley briefly operated such a project — the Abbey of Thelema in Sicily in the 1920s — and late in life he was making plans for another, to be called the Green Lion, which never came to fruition. 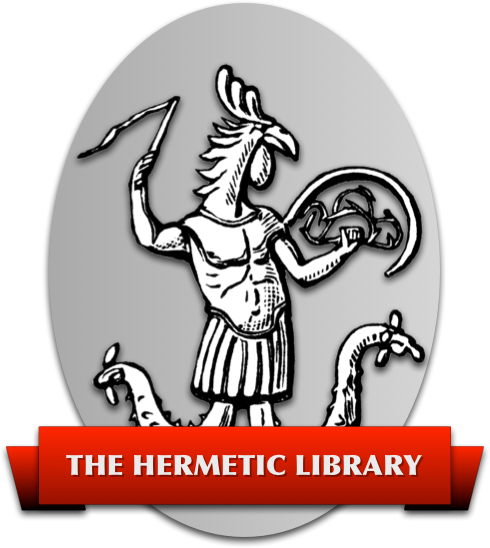 The creative opportunity to bring such communities into existence is important to the Thelemic movement as a whole, because despite the basic emphasis on the liberty of the individual, we recognize that many of the most admirable and challenging aspects of human existence can only manifest in cooperation with others. People today intuitively grasp the obsolescence of many aspects of our social system. The reduction of men and women to “consumers” results in profound alienation compensated only by the most superficial of freedoms. The Law of Thelema challenges us all to find a deeper sort of liberty that can empower us to remake society in a world which has already shifted under our feet. T Polyphilus is a bishop of Ecclesia Gnostica Catholica. His personal website is Vigorous Food and Divine Madness. Soror Sphinx is an O.T.O. initiate and Priestess of the Gnosis. For more information on O.T.O., see the Website of the United States Grand Lodge. This essay was originally written for and published at Reality Sandwich.